1. Oven-rack guards to prevent injuries (and an ER trip) from getting between you and your lasagna. These silicone guards are heat-resistant and BPA-free! Promising review: "Got this for my elderly mother as she was having some hand shakiness and I was worried about her burning the backs of her hands on the oven. Work fantastic and she loves them. They fit easily and stay on securely. Great product. No more hand burns!!" —Laura G.
Get three from Amazon for $9.99. 2. Heat-resistant grilling gloves to serve some serious lewks while avoiding a ruined batch of hot dogs because you bumped your bare wrist up against the hot grill. FYI, grill marks only look good on food! Oh, and you can use these with your oven, too. Get them from Amazon for $13.99+ (also available in stars). 3. 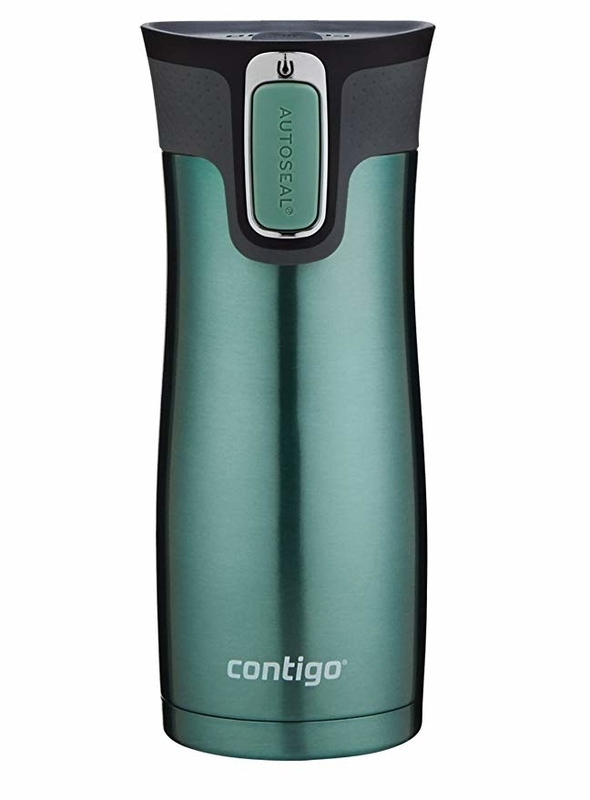 A tough-as-nails travel mug that vacuum seals so you won't have to sue yourself over spilled hot coffee and replace your shirt. The button makes drinking with one hand easy, and drinks stay hot for as long as seven hours or cool for as long as 18 hours. Get it from Amazon for $16.99+ (available in 13 colors, four sizes). 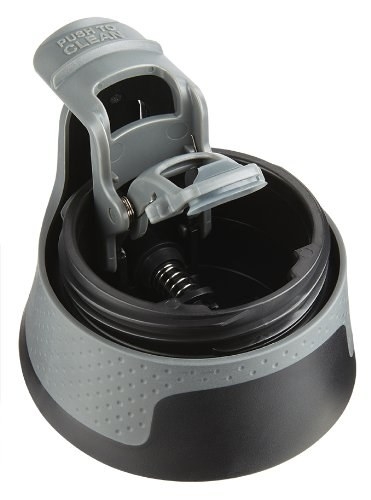 And check out a weighted travel mug to also prevent spills! 4. Insulated wine tumblers that'll spare your vino supply, save your nice wine glasses, *and* prevent a glassy hazard in the event of a, well, tumble. Get an eight-pack from Amazon for $29.99. While you're at it, check out more products for wine lovers. 5. Anti-slip pads — they can have you looking graceful AF in those stacked heel booties you're breaking in today (instead of scuffing them up with a stumble). Get a pair from Amazon for $10.02. Check out more products that'll make wearing heels bearable. 6. 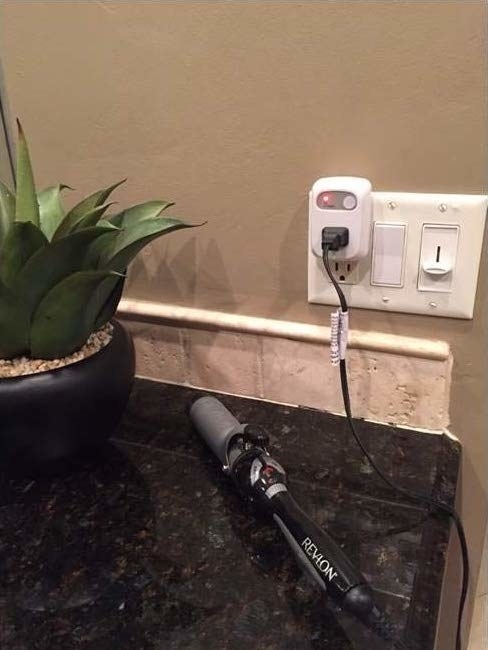 A bendy power strip to position out of your foot path so you don't perform a repeat of that time you tripped over the floor lamp power cord, sent it toppling, and broke the shade. Get it from Amazon for $24.93+ (also available in lime green). 7. Tempered glass phone screen protectors you can install yourself (I swear!) for chump change in comparison to getting a pro to do it in store. I've had one on my phone for about eight months now and I *just* cracked it with a drop instead of my phone screen! Check out my full review (#2)! Get a pair from Amazon for $7.99. 8. A 3-in-1 avocado tool — it'll scoop out every last bit of your fave piece of produce and (and save yourself from a slip of the knife). 9. A travel first aid kit (and a BUNCH of bandages you can refill it with) so you're never stuck at the drugstore overpaying for a measly little box of bandages in desperate times. Kit includes 3 antiseptic wipes, 2 sting relief wipes, 2 antibiotic ointment, 16 various latex-free bandages, 2 safety pins, 1 razor blade, and 1 reusable tin. And if you're outdoorsy, here's a great (bigger) kit. 10. A game-changing foam that'll put the broken powders in your favorite palette you dropped (!!!) back together again. I wouldn't wish a shattered makeup palette on my worst enemy. Get it from Amazon for $18.77. 11. Stain-repellant jeans you won't have to retire after a Labor Day bbq baked beans spill. Get them from Old Navy for $35 (available in sizes 10–20). 12. A cutting guard to avoid slicing off the tip of your finger. Again. BTW, this comes with an onion holder to make things a wee bit easier for ya. Promising review: "I don't use the fork for onions but on meat that I want to slice very thin. Works beautifully. The finger guard protects my fingers when using a ceramic knife — those are so sharp I have cut myself several times." —M. S. K.
13. Eye-catching knives (with safety sheathes!) so even if you don't store them in a knife block like you should, tracking down the right one won't leave to a bloody mess. Get them from Amazon for $25.95. BTW, here's a drawer knife block that'd also be a good investment. 14. And a tiny knife sharpener (I swear by!) — it'll make your hand-me-down knives more effective. Even though that sounds counter-intuitive, a dull knife is very dangerous and more likely to slip! Read all my ~sharp~ thoughts in my full review. Get it from Amazon for $5.50 (available in three colors). 15. Elastic shoelaces to help prevent trips and getting fined AGAIN at the snow globe store. Get them from Amazon for $3.99+ (available in three sizes, 13 colors). 16. 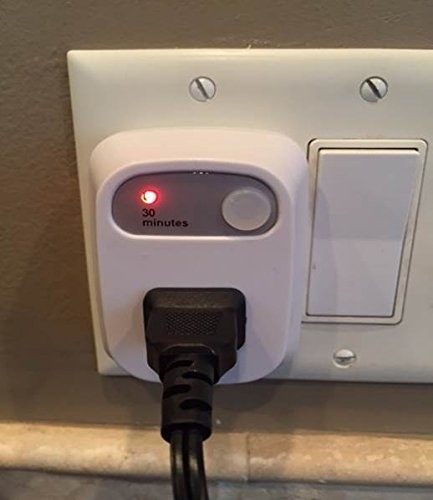 A timed safety shut-off plug in case your holy grail hair straightener doesn't have an auto-shutoff and you've noticed your power bill creeping up because of it. 17. And a heat-resistant glove that'll come in ~handy~ at preventing painful, costly burns when you're actually using your heat-styling tools. 18. A handy car documents organizer to help track down important info ASAP when accidents happen. 19. No-skid socks because a commercial-break dash to the kitchen shouldn't take you out for the season like you fave player. Get them from Amazon for $4.99+ (available in two sizes, eight colors). 20. A makeup pouch as the perfect surface to spill powders and potions all over instead of your lap or beige couch. And check out a version for toys. It comes with concentrator and diffuser attachments for smoother styling. Get it from Amazon for $31.60+ (available in three colors). And be sure to check out our top picks for the best hair dryers on BuzzFeed Reviews. 22. Specially designed bowls ready to help you cradle that bowl of cereal while you catch up on your stories — and ensure that all of your dinner actually ends up in your mouth instead of the couch cushion. Get two from Uncommon Goods for $38. 23. A water-repellant laptop case to help protect your priciest electronic that you treat like a rental car. Get it from Amazon for $11.99+ (available in three sizes, three colors). 24. A universal package opener for wielding without ruining your manicure *or* slicing your skin. Also be sure to check out 32 Products That'll Make Your Life Easier If You're Clumsy.